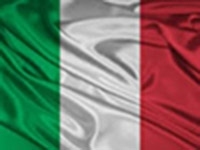 Order Sons of Italy in America encourages the study of a Italian language and culture and American schools and universities; preserving Italian American traditions, culture history and heritage; and promoting closer cultural relations between United States and Italy. The Order Sons of Italy Alighieri-Garibaldi Lodge 494 in Collingswood, NJ is a local lodge of the Order Sons of Italy in America. Have you recently arrived in the area and looking for new friends? Do you have an Italian origin or are you interested in Italian culture and heritage? We Would Like to invite you to become a part of our group and share great fellowsip with us. During the meetings would enjoy a delicious meal and learn about all the fun and charitable events in which the members can become involved. We welcome and encourage you to join us and inquire about becoming a member of the OSIA. Sei appena arrivata/o in Collingswood NJ dall’Italia e cerchi amici? Puoi contattarci, se vuoi trovarti con persone che hanno il tuo stesso amore per l’Italia. Se l’Inglese non è il tuo forte puoi trovare nel nostro gruppo qualcuno che parla Italiano. You've just arrived / or in Collingswood NJ and looking for friends from Italy? You can contact us if you find yourself with people who have your same love for Italy.If English is not your thing you can find someone in our group who speaks Italian. Are you interested in joining the Sons of Italy?